Matching you with your best doodle puppy is our passion. Welcome to Best Doodle Puppy, home of Gorgeous Goldendoodles- your premier doodle breeder in Indiana specializing in gorgeous Goldendoodles, Bernedoodles, and Sheepadoodles. We are conveniently located in East Central Indiana just 30 miles northeast of Indianapolis, 2 hrs from Columbus,OH, Dayton and Cincinnati, 3 hours from Louisville, KY and Lexington, 4 hours from Chicago, IL and 5 hrs from St. Louis, MO. We are your premier doodle breeder in the Midwest with over 15 years experience. 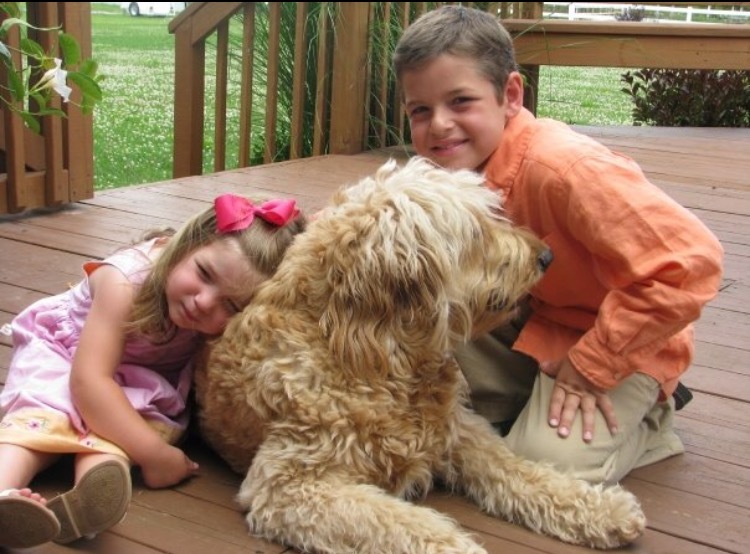 What started as a hobby for our family quickly became a passion to produce excellent quality doodles with the characteristics that every one desires in coat quality, temperament and disposition. Check out our individual links above to see the availability of our upcoming litters. Feel free to contact us by email or call (765)606-8359. Our family of 8 is very blessed to be a part of a 100 acre family farm. We raise grass fed beef, pasture raised chickens, miniature donkeys and of course the Doodles!! We both grew up working with animals and have loved the experience that we've had. We count it a privilege and joy to be able to love and nurture these wonderful puppies as a family. Ready to take the next step in adopting the best goldendoodle, or bernedoodle?